Relatives of fallen guerrilla fighters report that the lifeless bodies have been desecrated and are in an unidentifiable state. The bodies of several guerrilla fighters who died at various times in the fight against the Turkish army will continue to be held at the Forensic Medicine in Malatya province. It is not always easy for families to identify their relatives. Many of the lifeless bodies have been blatantly desecrated, others torn to pieces, the families report. 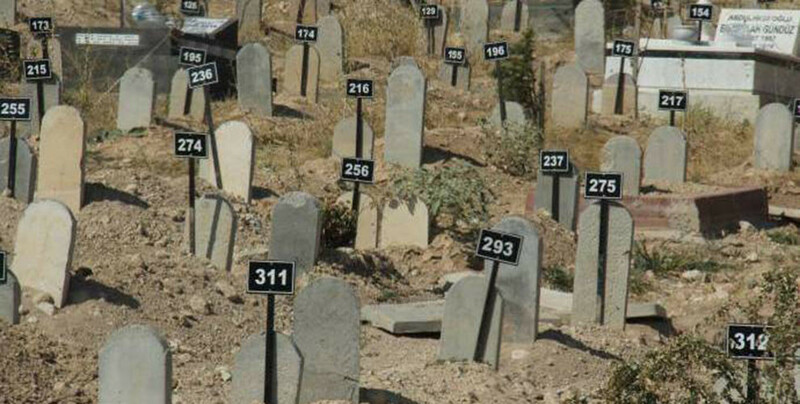 The corpses of unidentified persons are buried by the Turkish authorities in the cemetery of the Nameless. Some families complain that their relatives were buried here, even though they could identify the body. The forensic medicine explains in such cases that the identification cannot be confirmed because DNA test is no longer possible due to advanced decay. A.A. also explains that he too could not identify his brother and therefore submitted a DNA test. He did not know whether his brother's body is being kept at the forensics or has been already buried.